I don’t use breadcrumbs a lot in my cooking, but at some point I always need them. For instance, I have a great recipe for Mac n’ Cheese that requires some breadcrumbs on top. My husband (the “health freak”) pointed out to me that almost all store-bought breadcrumbs are full of unnatural ingredients. It got me thinking back to the days when I was a teenager working in a restaurant. All the leftover bread from the day would be cut into slices then air-dried until dry enough to make into breadcrumbs. I love having dinner parties at my place and I quite often end up with a lot of leftover bread. Since I hate to let food go to waste, making my own breadcrumbs is a great solution. I tend to bake bread with various whole grains, but for wine and cheese parties I usually serve fresh baguette. I’ve found that making breadcrumbs with a mix of different types of breads adds a great texture and flavor. 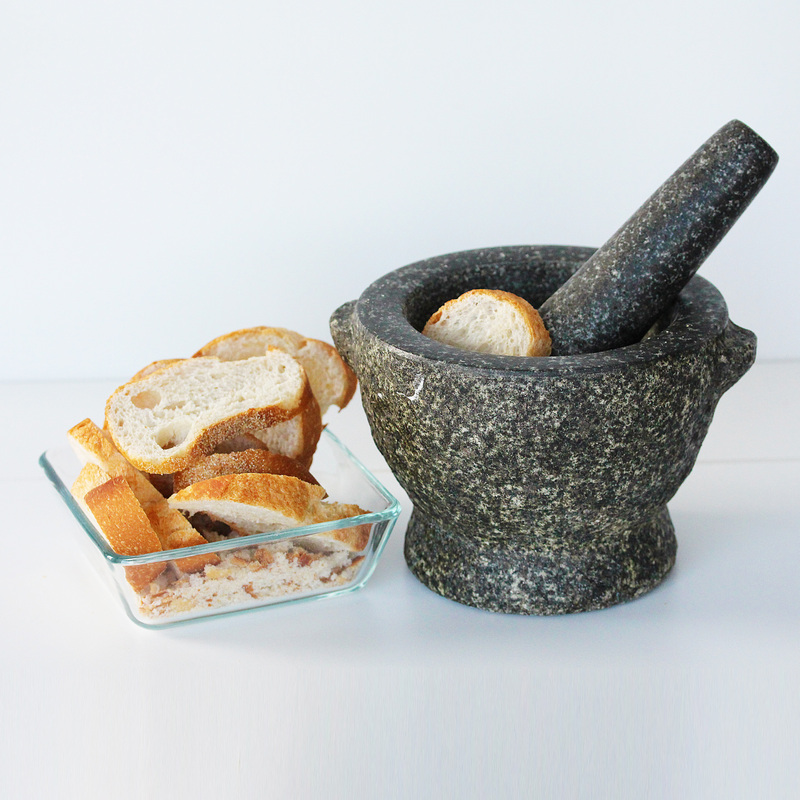 All you need are your breads of choice and a tool to grind the dried bread (such as a mortar & pestle, a blender, or a food processor). 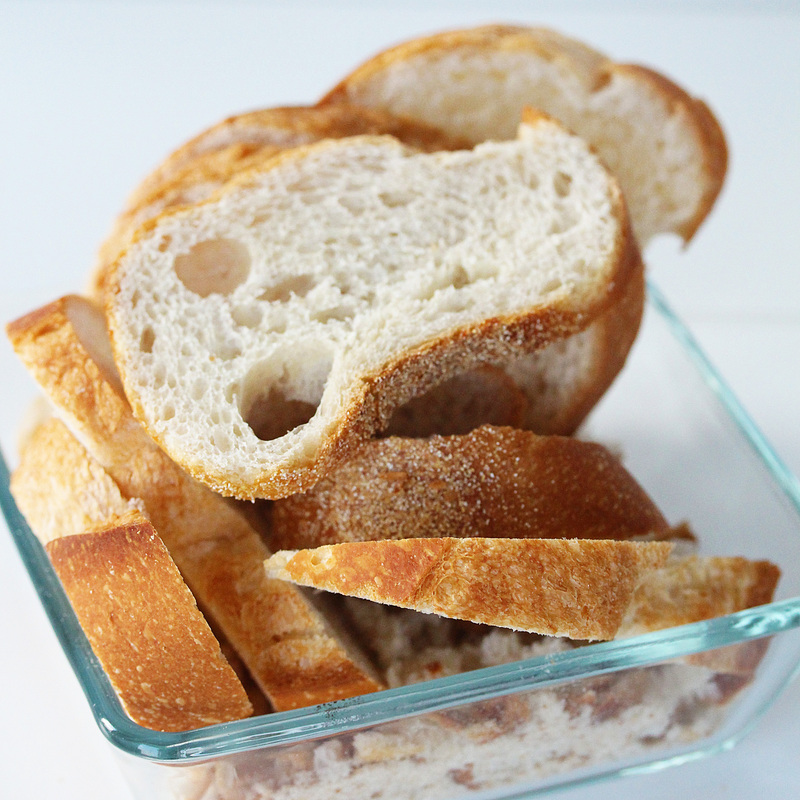 Cut the bread into slices or cubes and let it sit out for a day or two. Make sure that the bread is completely dry orthe breadcrumbs will start to mold. Use your grinding tool to crush the bread down to your desired texture. 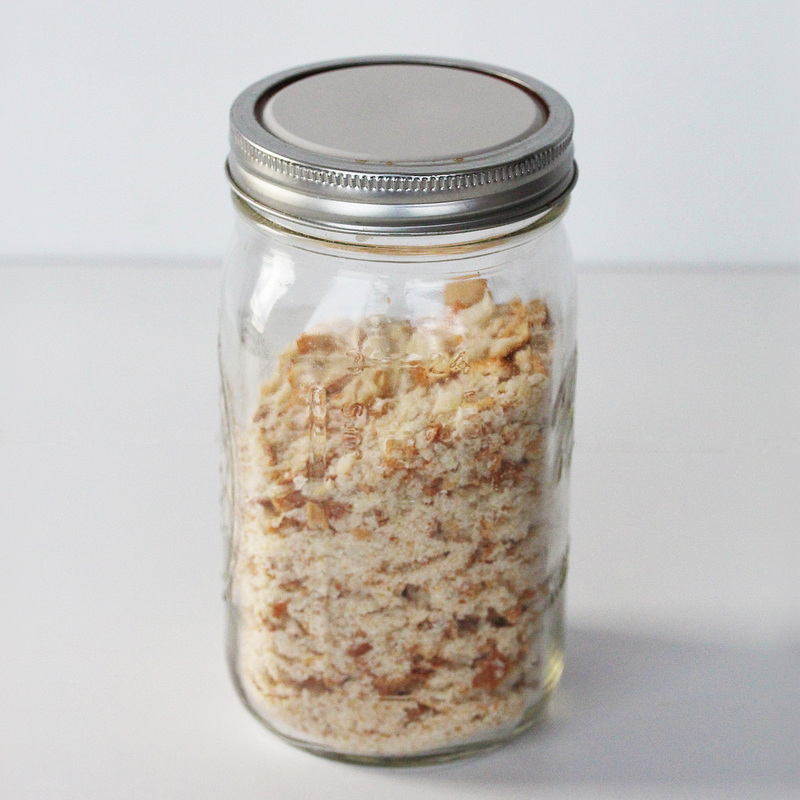 Store the breadcrumbs in an airtight jar in your cabinet. If stored properly, the breadcrumbs will last for a very long time. I’ve never even thought about making bread crumbs myself, but what a brilliant idea! I definitely did not dry my breadcrumbs properly one time and the next time I opened the container…ewwww. 🙂 Good tips!